Business planning intensive 3 from $995. Coaching that delivers. Stay focused and engaged with the detail of your business plan. Bounce off ideas and face challenges head-on. If your business idea is well planned, a trusted advisor will keep you and your business on track. Working one-on-one with planning expert and business consultant Paul Wilson, tackle your business challenges with an expert. Ideas 3: Coaching and Delivery Management helps you deliver your 3, 6 or 12-month goals and provides insightful advice where adjustments need to be made to your plans. * This flexible coaching and consulting package is tailored to the unique challenges of your business. Together we structure a minimum 3-month consulting period to best maximise your business Action Plan. This package is designed for executives, managers, and business owners who need a regular sounding board for business. For $995, Ideas 3: Coaching and Delivery Management provides problem-solving advice to resolve roadblocks, chart progress, and accelerate your goals. 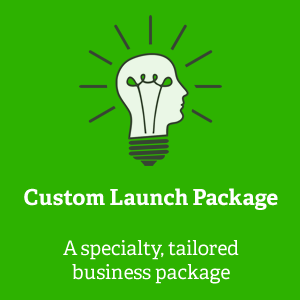 Ask us about your Accelerated Ideas package today.